Texas does not necessarily come to mind when one thinks of Holocaust survivors. New York, Los Angeles, Chicago, Miami and other eastern seaboard cities with larger populations do; but the Jewish community thrives in Texas. 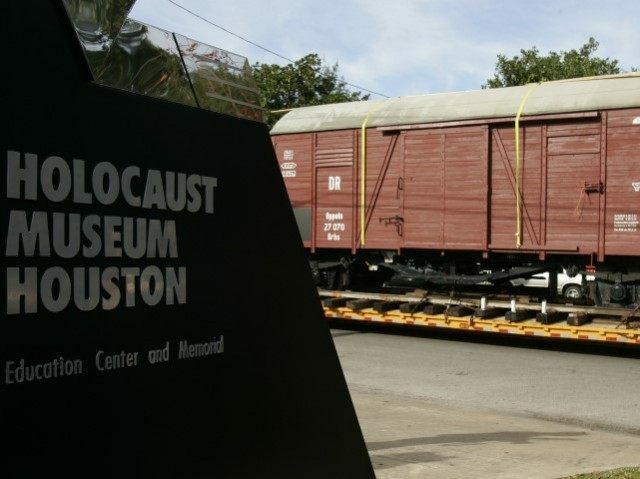 Dallas, Houston and El Paso all have Holocaust museums — each mindful of their dwindling Holocaust (Shoah) populations. Many live below the poverty line. A handful of Texas charitable agencies throw lifelines to these elderly men and woman, the last eyewitnesses to the atrocities of Nazi Germany. These are the children who survived the Holocaust, liberated by the Allies from concentration camps 70 years ago. According to the Times of Israel, 500,000 remain worldwide. The Registry of Holocaust Survivors lists 195,000 of them in Israel with approximately 120,000 stateside. These brick-and-mortar memorials keep the flame of the Holocaust alive for the public. Over the summer, Houston featured five local survivors in “Sole Survivors” and on September 20, the Dallas Holocaust Museum will host a free a similar event where three Holocaust survivors recount their childhood survival experiences and answer questions. While these survivors thrive in their twilight years others, do not. Two-thirds of them live alone, often suffering from mental illness. Many homebound survivors isolate on Jewish holidays, birthdays and anniversaries. Ravaged by time and malnutrition in their formative years, survivors suffer with brittle bones and bad teeth. Medical and dental care, even dentures and hearing aids, cost thousands of dollars they cannot afford. Jewish Family Services (JFS) provides compassionate social services. Its parent organization, the Association of Jewish Family & Children’s Agencies, oversees about 125 JFS centers, oftentimes affiliated with a city’s Jewish Federation, another larger international advocacy body. Six Texas cities have JFS offices — Dallas, Fort Worth, Houston, San Antonio, Austin, and El Paso. In 2013, Charity Navigator gave the Dallas JFS its highest four stars. The Jewish agency welcomes anyone in need in the Greater Dallas area regardless of religion, race, ethnicity, age or ability to pay. Holocaust survivor-specific assistance comes through their older adult services and includes Lifeline emergency response service, counseling, light in-home housekeeping, transportation, sabbath services, and even Kosher home-delivered meals. “Currently, we work with 20 Holocaust survivors. Nine are receiving more intensive services – case management, home care, and financial assistance,” said Weiner at JFS Dallas. Cities like El Paso operate scaled down programs. JFS El Paso CEO Emily Stuessy told Breitbart Texas said they serve 8-10 survivors in El Paso and 3-4 living 35-40 miles away in Las Cruces, NM. JFS offices assist survivors in filing for compensation from the German government. Eligible survivors receive an annual stipend which JFS literature calls a “small measure of justice for Jewish victims of Nazi persecution.” The yearly $2,700 check helps the neediest survivors the most, but they often refuse to partipate because it means turning over personal information to government agencies. Various Jewish agency officials told Breitbart Texas that survivors do not trust the system they feel once betrayed them. It takes a lot of work to convince them to participate. The Claims Conference (short for the Conference on Jewish Material Claims Against Germany) negotiated an agreement where Germany committed approximately $1 billion over a four year period for Jewish survivor homecare. The first installment of $266 million began this year. The Claims Conference allocated around $60 million to survivor welfare services in 2014. Additional funding gets puts towards food, medicine, socialization, emergency assistance and transportation services. The smaller El Paso outlet does not offer home care but provides other core services as well as social perks like the Shalom Shuttle and Café Europa, a monthly social and support gathering for Holocaust survivors, partially funded through the Claims Conference. Social activities often allow the Jewish agency to reach those survivors who might be at-risk and may not otherwise contact JFS for help, noted Stuessy. Survivors do not take too well to nursing home care. “The mere fact of being in close quarters, it feels for many they are being incarcerated and are again dependent on other people,” said Weiner. The survivor-specific Blue Card also funds an emergency cash assistance program through the Claims Conference. This New York based charitable group helps 2,400 needy Holocaust survivors annually nationwide, although the bulk of their recipients hail from the New York metropolitan area. Monies go the most pressing needs like rent, medicine, dental care, and food. They even grant final wishes to terminally ill survivors. According to Pearl, these survivors struggle to afford basic needs and they fall below 200 percent of the federal poverty line ($21,660 in annual earnings). “The physical horrors of the Holocaust, including malnutrition and exposure to harsh weather, continues to take a toll on survivors’ health,” Pearl said, noting that Blue Card requests for help are up 20 percent from last year. Survivor well-being also means acknowledging birthdays, Passover, Hanukkah, and presently, the Jewish High Holidays. Volunteers from Texas synagogue congregations and groups like JFS put together and deliver Rosh Hashanah baskets, brimming with traditional holiday foods – honey cake, apples and honey– to mark the sweetness of the Jewish New Year for the otherwise forgotten Shoah survivors, and those who isolate on special occasions. The Blue Card does similar with a $200 check to “enrich the often lonely times of the year” for those individuals who lost their entire families during World War II, did not have children, and/or are separated from their families. Seven Acres is a Medicaid subsidized facility, which is common. Even the Los Angeles Jewish Home for the Aging (JHA) operates on full pay, fundraising, generous donations, and Medicaid. They admit Holocaust survivors among their other residents. These agencies are funded through private Jewish foundations, the Claims Conference and the generosity of American citizens. Other agencies and organizations, not included in this article, also assist Holocaust survivors in Texas and in other states.